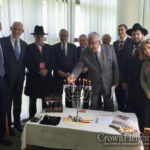 The Ambassador of Israel to Australia, His Excellency Mark Sofer and his wife Sarah, visited Chabad ACT’s HQ in Canberra this morning. 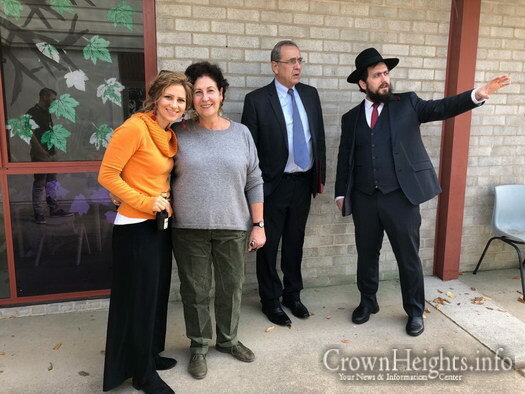 The Sofer’s were greeted by Chabad ACT’s Chairman, Rabbi Shmueli Feldman and Co-Director, Rebbetzin Chasia Feldman. 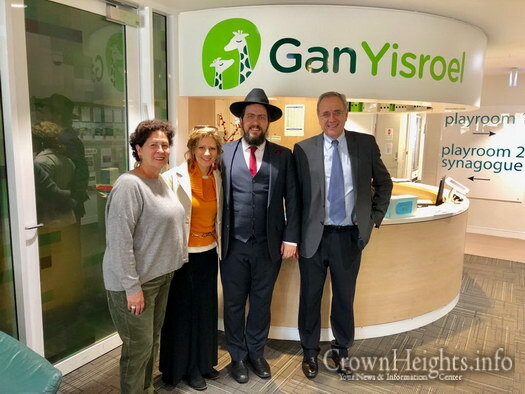 The Sofer’s toured the centre in Northern Canberra, which includes Canberra’s only Jewish Preschool and Child Care Centre – Gan Yisroel, a Synagogue, Kosher shop, community kitchen and administrative offices. 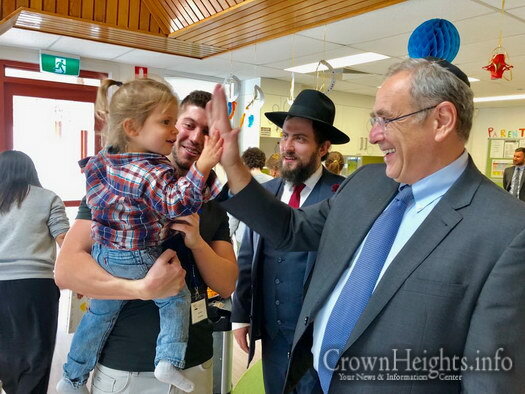 The preschool children in the different rooms enthusiastically welcomed the Ambassador with Hebrew phrases whilst waving Israeli flags that they had crafted for the occasion. The Sofer’s engaged with the children in discussion, reviewing their work on the Hebrew Alpha Bet and watched how they do their weekly Challah preparation for the Sabbath. 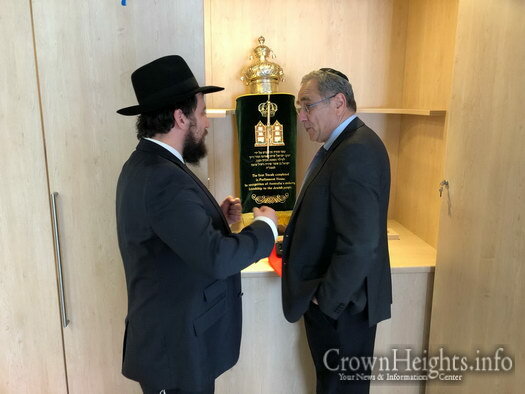 The children presented the Sofers with gifts connected with the Land of Israel’s Biblical themes of milk and honey. 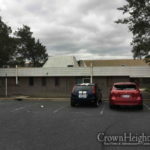 The Sofer’s were treated to a hot lunch catered by Chabad ACT’s “Canberra Kosher” – Canberra’s only licensed Kosher catering service – together with the Rabbi and Rebbetzin, where they held a long and friendly talk, which included discussing ways to further enhance their community activities through increasing collaboration with the Embassy of Israel. 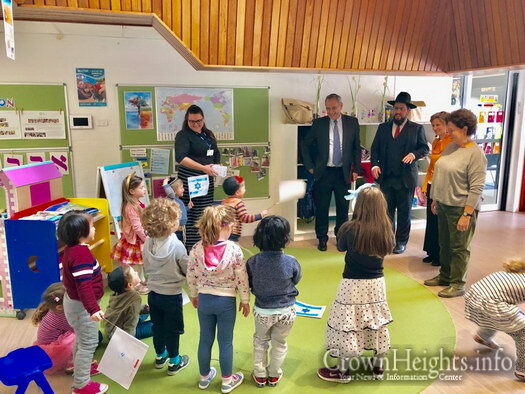 The Ambassador and his wife Sara expressed their amazement at seeing the work of Chabad ACT and were particularly impressed with the professionalism and vibrancy of the Preschool and community centre. 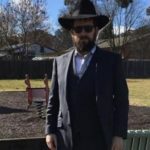 Rabbi Shmueli Feldman commented: “Australia is lucky to have such great representatives and advocates for Israel in the Sofers. It was an honour having them formally tour our centre. The children and staff were so excited to meet them. We look forward to continued friendship and collaboration and wish the Sofers much success in their important Australian Shlichut”.